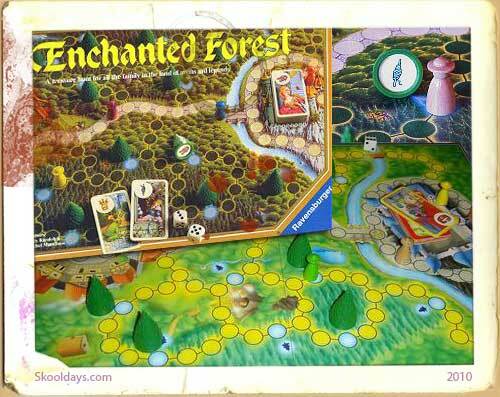 If ever there was a game that kept me coming back again and again to play with my siblings it was this beautiful Enchanted Forest game from Ravensburger back in the early eighties. Enchanted Forest is a memory game in a very similar vein to card meory games except you had to reveal one card and then roll dice and move to the relevent tree to find the hidden complimentary treasure. If i remember correctly the Enchanted Forest had a nursery rhyme and fairy tale theme to it. So for example – if the puss in boots card was revealed by the king at his castle, you would all race for the tree with the boots hidden beneath or Cinderella would require finding the glass slipper.As you move from tree to tree, you get to peek at the treasures you find. 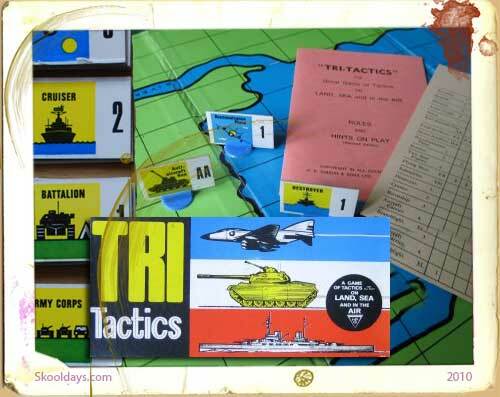 Thereby even a wrong tree may become useful at a later point of the game. The art of the game wasn’t just in rembering where you had seen the items beneath the trees but also not wanting to give away the tree you were heading for to other players. 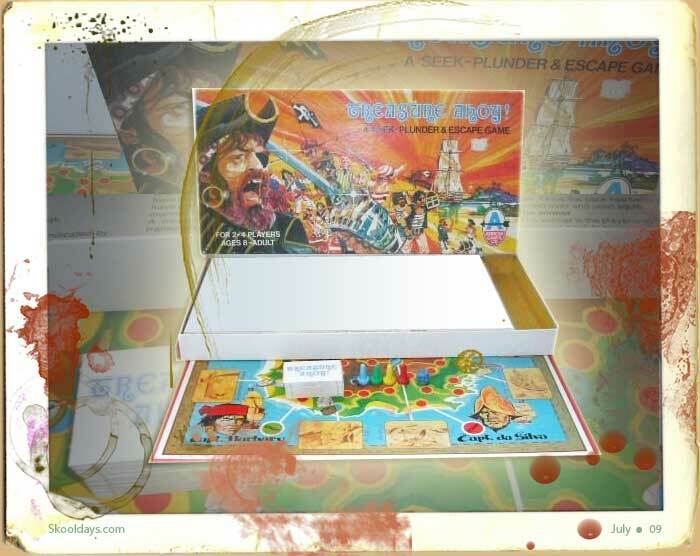 The games are best played with the full 6 players. 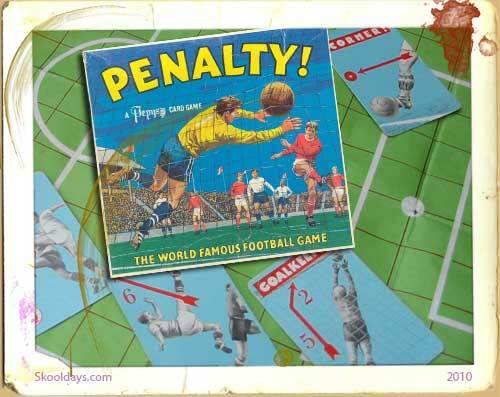 This games remains as one of the most enchanting board games a child could ever play, if you’ve played it, you’ll know what i mean, wonderfully made and certainly an Enchanting Forest.